1. a coming into place, view, or being; arrival: the advent of the holiday season. 2. (usually initial capital letter) the coming of Christ into the world. I used to think that "Advent" always meant the second definition: The Advent season was and is about Jesus. Apparently Starbucks is going with the first definition. 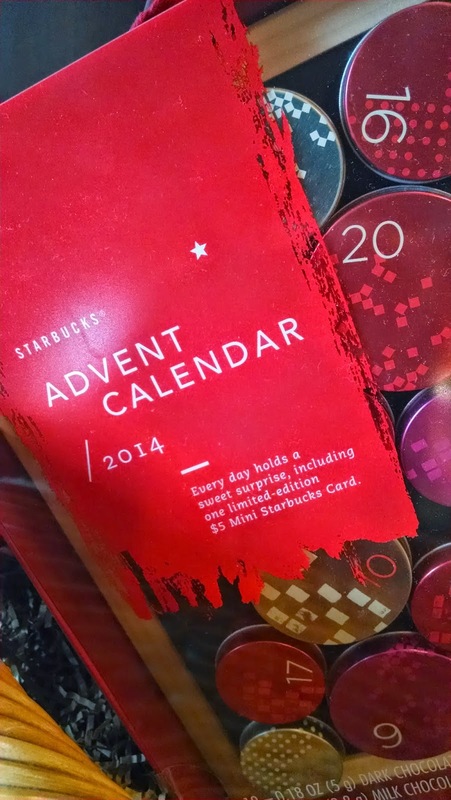 You can now count down the days with chocolates and arrive at a mini Starbucks gift card on the big day. I guess Christmas used to be about Jesus too. We kind of forget those important details these days. I love Christmas traditions: lights, decorations, food, and everything else. But consider this your reminder that two weeks from today we should primarily be celebrating Jesus.